A. Makhoul: assistant professor, U. Franche-Comté, was postdoc fellow in 2009. R. Saadi: postdoc, INRIA, was ATER in 2009. Wireless Sensor Networks for search&rescue mission-critical applications: from low-level challenges to multi-sensors/multi-robots perspectives. Seminar at the University of Cardiff, Wales, UK. May 9th, 2012. 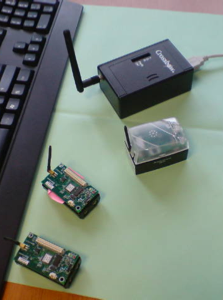 Wireless Sensor Networks and Their Applications. Seminar at the Matsuno's laboratory on Rescue Robotics, Kyoto University. November 9th, 2011. 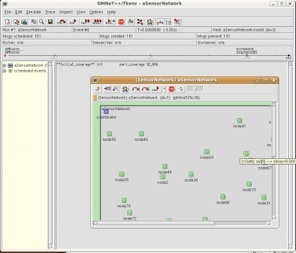 Dynamic management of criticality in surveillance application with wireless sensor networks. Keynote at RSACS 2011, Oran, Algerie. applications on wireless sensor networks (updated version), seminar at the University Carlos III, Madrid, Spain. NetCom and IMDEA groups, May 19th, 2010.
applications on wireless sensor networks, seminar at the University of Franche-Comté, IUT Belfort, March 12th, 2010. Deployment of video surveillance applications on wireless sensor networks: challenges & research directions, seminar at the University of Oran Es-Sénia, November 25th, 2009. Coverage and activity management of wireless video sensor networks for surveillance applications. 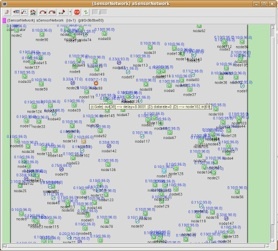 International Journal on Sensor Networks (IJSNet), Inderscience, 11(3), 2012. Risk-based Adaptive Scheduling in Randomly Deployed Video Sensor Networks for Critical Surveillance Applications. Journal of Network and Computer Applications (JNCA), Elsevier, 34 (2011). Scheduling randomly-deployed heterogeneous video sensor nodes for reduced intrusion detection time. Proceedings of the IEEE 12th ICDCN international conference, Bangalore, India, January 2011. 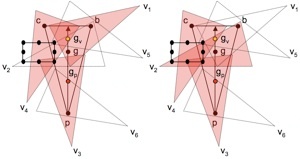 Minimising Energy Consumption Through Mobility in Wireless Video Sensor Networks. The Second IARA International Conference on Emerging Network Intelligence, EMERGING 2010, October 25-30, Florence, Italy. Performance study of multiple cover-set strategies for mission-critical video surveillance with wireless video sensors. Proceedings of the IEEE WiMob 2010, Canada, October 2010. Risk Management in Intrusion Detection Applications with Wireless Video Sensor Networks. Proceedings of the IEEE WCNC international conference, Sydney, Australia, April 2010. Dynamic Scheduling of Cover-Sets in Randomly Deployed Wireless Video Sensor Networks for Surveillance Applications, Proceedings of the 2nd IFIP Wireless Days Conference (WD'2009), Paris, France, December 2009. Adaptive Scheduling of Wireless Video Sensor Nodes for Surveillance Applications Proceedings of the 4th ACM PM2HW2N workshop, in conjunction with 12th ACM MSWIM 2009, Tenerife, Canary Islands, Spain. The monitoring capability is the central feature of a WSN and the services offered by a WSN can be classified into three major categories: monitoring, alerting, and information “On-Demand”. These features have been applied to a large number of applications related to environment (agriculture, water, forest, fire detection, ...), military, buildings, health (elderly people, home monitoring, ...), disaster relief, area and industrial monitoring. Most of these applications have a high level of criticality and can not be deployed with the current state of technology. Besides military applications that possess an obvious criticality level and have a very specific usage, surveillance applications oriented toward Critical Infrastructures and disaster relief are also very important applications that many countries have identified as critical in the near future. Our project's objectives are to enable the practical deployment of wireless sensor based surveillance infrastructure for a wide range of mission-critical applications. The project wants to build the core models and mechanisms to manage in an efficient way the application's criticality to ensure to the end-user a mandatory level of service and security required for this type of applications. We developed a specific criticality model that can link the sensor’s parameters (such as the capture rate) to the redundancy level according to the application’s criticality level. The purely scalar nature of these collected data might be limiting for more complex applications such as object detection, surveillance, recognition, localization, and tracking. Therefore, in addition to traditional sensing network infrastructures, a wide range of emerging wireless sensor network applications can be strengthened by introducing a vision capability. In the domain of surveillance applications that are extremely mission-critical in nature, adding visual capabilities highlights news challenges. See a proof-of-concept of a video sensor based on a beach rocket toy that could be thrown from the air. E. Alvarez and Y. Jimenez, Univ. Pau (Feb-May 2010): Video surveillance with iMote2 sensors (report in french, web page with instructions for iMote2, small video surveillance application). One important part of the project is to develop a generic simulation model for surveillance applications (GENESIS: «GENEric SImulation of Surveillance Sensors») to evaluate the various proposition regarding node’s scheduling and application’s criticality management. We developed a model under the OMNET++/Castalia discrete event simulator framework that is available «Video Sensor Model». Using Castalia will allow you to study in details the impact on communication layers. See the tutorial slides on the simulation model. Wireless sensor networks for surveillance will most likely not be used as a unique surveillance infrastructure. We think that wireless sensor networks will be deployed to work in cooperation with some other surveillance systems. One of the very challenging issues is how to supervise a global surveillance system composed of fixed and randomly deployed sensor, and of mobile agents such as robots or aircrafts or UAV (Unmanned Aerial Vehicle) or simply moving person on the terrain. The project seeks to investigate these interactions and the algorithmic aspects behind this very challenging issue. For mobile robots, we are collaborating with Dr. S. Stinckwich from IRD/UMMISCO and Pr. 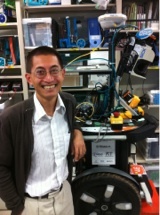 F. Matsuno from University of Kyoto who are working in the field of rescue robotics. Pictures of mobile robots developed by Pr. Matsuno’s team are can be seen here. 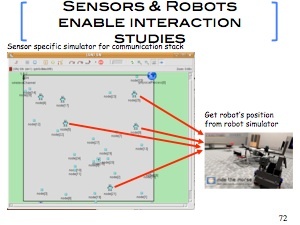 One research direction is to use state-of-the-art simulation tool to study sensors and mobile robots interactions by coupling dedicated simulation tools: OMNET++/Castalia for sensors and Morse/ROS for robots (see what is Morse?). Here is a preliminary page explaining this process «Linking OMNET++/Castalia with ROS» . See some video posted by P. Koch (UMMISCO) on vimeo. 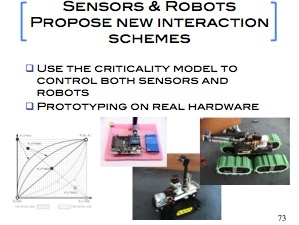 The other objectives is to manage both sensors and mobile robots with our criticality model (see above). Mission-critical applications usually impose some time constraints on the processing of the collected data. This is for example the case in disaster relief applications where real-time collected data need to be processed quickly in order to enhance the global understanding of the system for further organization and planning. We are investigating the use of workflow systems to define in an transparent way the complex processing tasks that may be undergone on the collected data, possibly in a collaborative way, and possibly using distributed resources. These works are conducted within the OMNI-DATA project with R. Tolosana and J. Banares from University of Zaragoza, and supported by the Aquitaine Regional Council through the Aquitaine-Aragon joint France-Spain program. For more information, contact Congduc.Pham “at” univ-pau.fr and have also a look to the recent publications listed in the left column. Look at the «Installation tips» and «Links» tabs at the top of this page. Int. Workshop on Robots and Sensors integration in future rescue INformation system (ROSIN 2012). PHC/ResCom day on "Wireless Sensor Networks and Mission-critical Surveillance Applications"
June, 7th, 2012. IUT Anglet, Parc Montaury, France. "Networks and Systems for Mission-Critical Surveillance Applications"
June 22nd-23rd 2011, University of Oran, Algeria. June, 17th, 2011. IUT Anglet, Parc Montaury, France. October, 2010. In conjunction with IROS'10, Tapei, Taiwan. June, 25th, 2010. IUT Anglet, Parc Montaury, France. 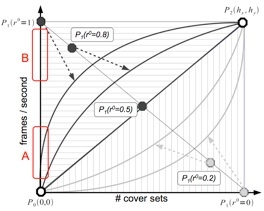 Perception, Reaction, and Cognition in Wireless Sensor Networks. Special issue of Journal of Sensor and Actuator Networks (MDPI, ISSN 2224-2708). Multimedia Sensor Networks for Mission-Critical Surveillance Applications. Submission deadline October, 31st, 2012.